Paris in Winter is now available at John Derian Company, 6 East Second Street, New York, NY 10003 (shop@johnderian.com). A video on David Coggins’s work and studio by Twin Cities Public Television’s MN Original is shown on TPT 2 2.26.17 and released on YouTube 3.1.17. A video about Paris in Winter, created by MN Original, the Twin Cities Public Television program that focuses on Minnesota’s creative artists, is released on YouTube (12.1.16). Drawings by David Coggins appear in Men and Style, written by his son David Coggins. Photographs of the artist and a conversation with his son are also included in the book, published by Abrams Books in October 2016. Isles Studio Minneapolis hosts an event announcing the availability of artwork and books by David Coggins (11.11.16). Paris in Winter is featured in the June 2016 issue of Condé Nast Traveler China. 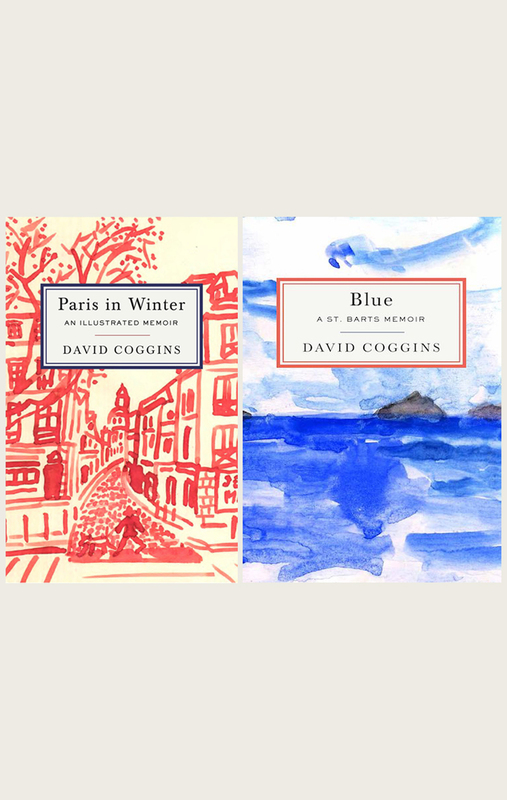 David Coggins reads from Paris in Winter at Alliance Française Mpls/St Paul (2.24.16). Books are available for signing. Second printing of Paris in Winter is released in March 2016. The book is again available at bookstores and online retailers in U.S. and abroad.